Cherry red color with a garnet rim and high middle layer. This is the kind of wine you could smell all day long, really no need to drink it……, except the fact …., that would defy the whole purpose of its being. The aromas are amazing. Good intensity, mineral, spicy and warm. Black fruit, menthol, spearmint, balsamic. A very special nose that I think would appeal to most wine lovers. Although the taste carries some of the same properties, like black fruit, it is not as sweet as the nose. Slightly immature fruit, with high acidity. In the mouth it has a strong presence, enveloping with a good volume and satiny feel. It feels meaty and heavy, giving the tannins plenty of space but the aftertaste lacks length. Anyhow, I’d venture to say this is a great wine and not only because it is Catalan! The Samsó, Carinyena, Sinsó or Carignan, is a black grape variety. 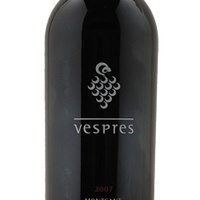 The Carignan grape is very small and compact, of medium grain, round in its shape and of a bluish to black color. It contains lots of juice and plenty of sweet flavors. It is a productive variety but sensitive to diseases. 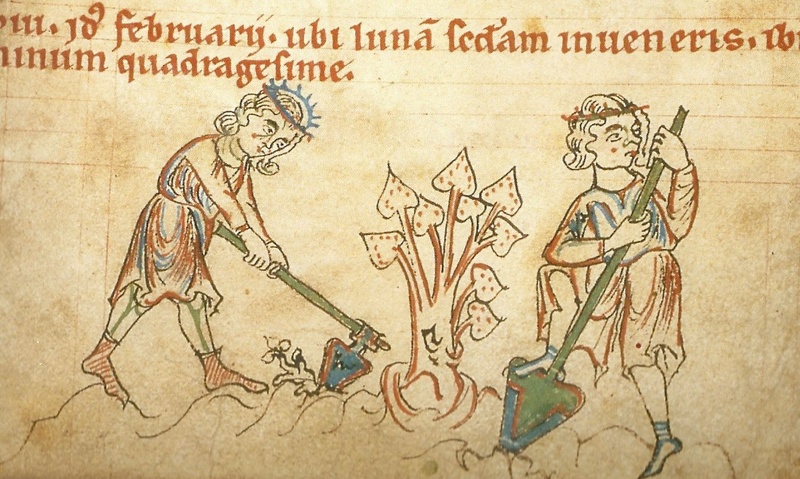 It buds late and is therefor not affected by early spring frosts. Wines made by using Carignan have little body, little color but a strong fruity taste. It is used to make rosé wines or blends with Grenache grapes to produce light wines that are soft and that has harmony. 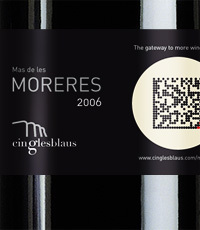 The large amount of tannins makes it suitable for aging, especially if it has been blended with Tempranillo or Grenache. The name “Samsó” derives from the French Cinsaut. 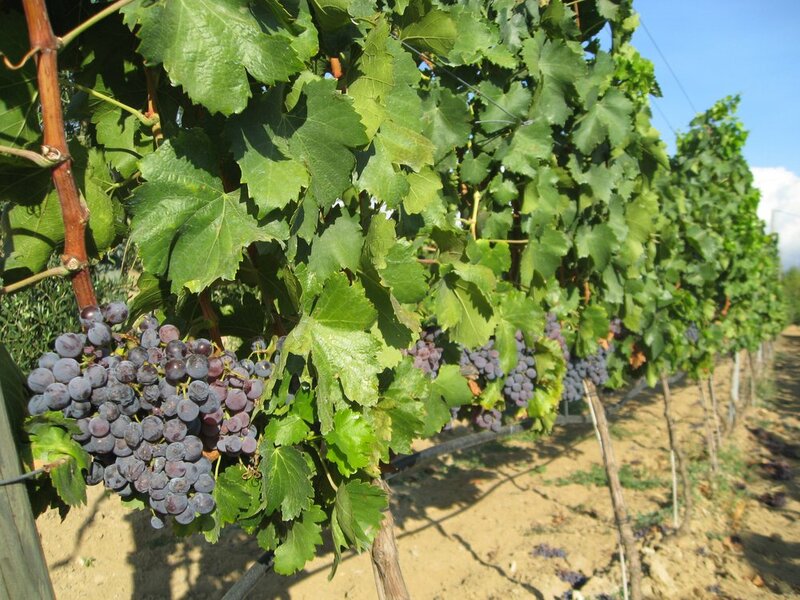 It is grown throughout the Mediterranean between the Rhone and the Ebro. It is a traditional variety of ancient and unknown origin. 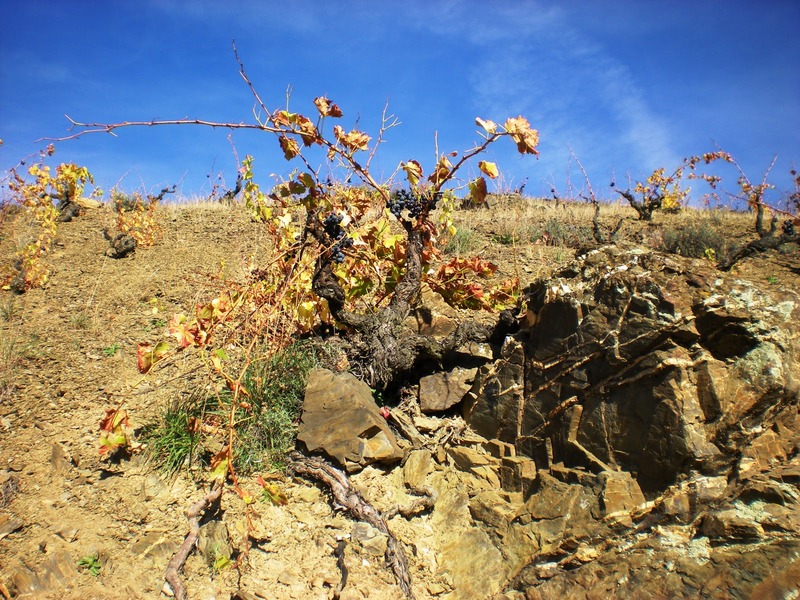 It has been successfully transplanted to South Africa where it goes under the name Hermitage. 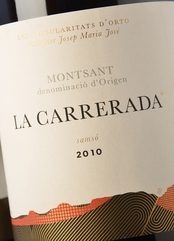 It is one of the main varieties in many of the Catalan appellations, like D.O. Conca de Barbera, D.O. Costers del Segre, D.O. 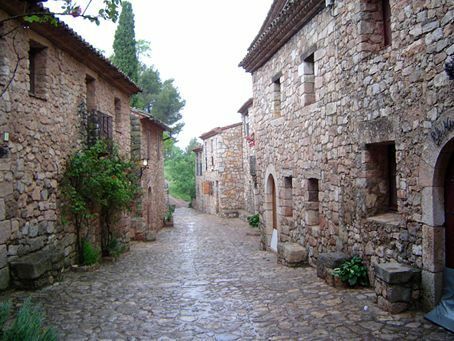 Empordà, D.O. Montsant, D.O. Penedès, D.O. 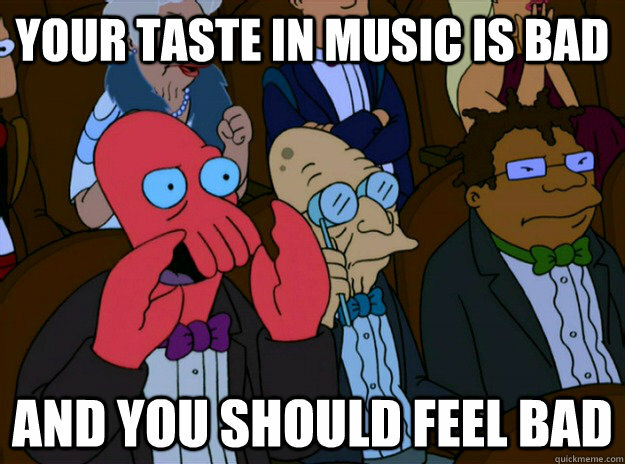 Tarragona and D.O. Terra Alta, not to forget DOQ Priorat. July 18, 2008 is the birthdate of Orto Vins in the D.O. Montsant. 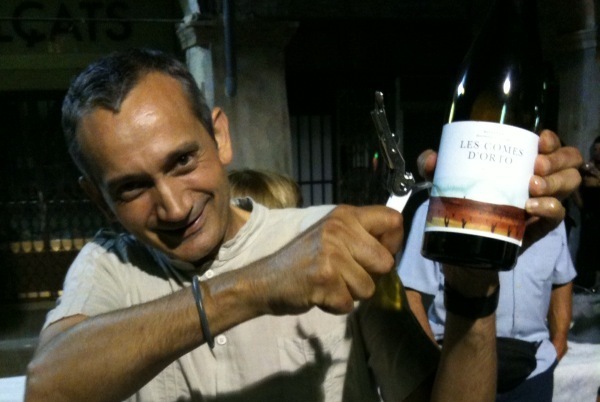 Four farmers previously working at the cooperative Masroig, with a long wine making tradition in their families, created Orto Vins. Perhaps the best known is Joan Asens on whose incredible knowledge, sensitivity and experience, the foundation for the success of his project is relying. But this is a winery in which the land and labor are essential ingredients. Each of the four partners are important and do what they do best, whether in the field, in the cellar or at wine sales. During the span of about two years, parents died and left some vineyards. The idea was born, let’s make wine from our vineyards and with our own brand! Bottle the goodness of the vineyards, enjoy the added features and offer the flavors of the most emblematic grapes of the region. The vineyards have a highly individual character, looked after devotedly for years by different generations of their families. 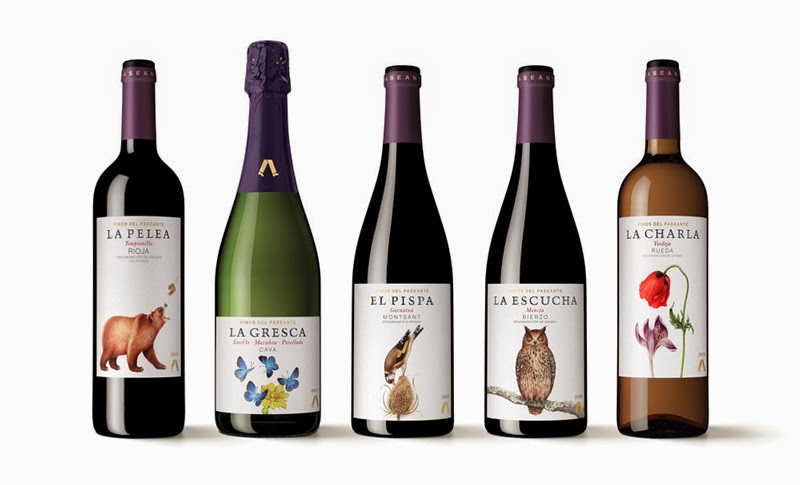 They now use those grapes to create four special wines which they call the ‘singularidades de Orto’, effectively the Orto singular wine collection. Alongside these four single varietals, of Cariñena, Ull de Llebre, Garnacha Peluda and Picapoll Negre, they also make two entry level wines – a red and a white – and two deliciously fresh, sweet wines. The sweets are naturally sweet and the vintage grapes makes them unique. All the wines are made in keeping with biodynamic agricultural methods, with total respect for the vineyard and the land. 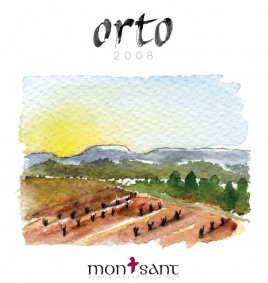 Orto Vins is looking for beauty, purity, the expression of the terroir and the grape, and therein lies its name. According to their explanation, “Orto refers to the particular moment in time when the sun, or any other star, crosses the horizon line and becomes visible in our hemisphere. It therefore symbolizes the dawning of a new day. 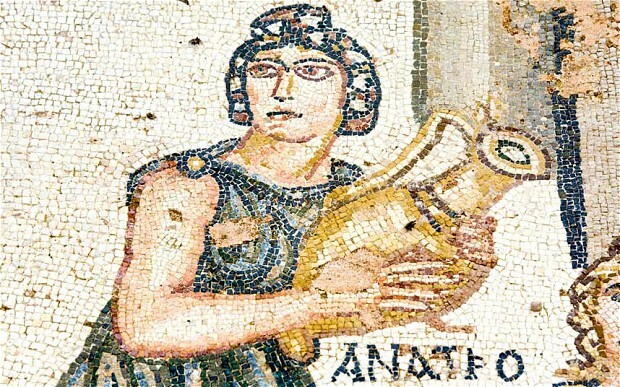 Orto (or Ortho) is also a prefix of Greek origin, meaning ‘straight’, ‘exact’ or even ‘true’”. Cherry red colour with ruby highlights. Ripe, fruity, mineral touches and well-integrated toasted notes. Easy flowing and gives of a bunch of red fruit aromas, fresh and sweet spice notes from the barrel aging. On the palate it is lively, full of flavour and well-balanced, palate texture is nice and smooth and balanced with a finish of sweet fruit leaving a fresh, fruity aftertaste to be savoured at length. Grilled red meat, barbecues, stews, jugged hare or rabbit, game, mushrooms, sheep’s cheese, grilled blue fish, salted cod, dried fruit and nuts, sun-dried tomatoes are just some of the foods that would work well with this wine. 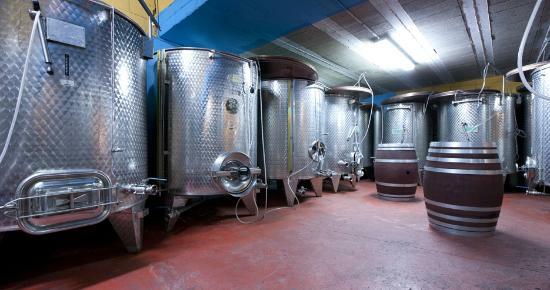 and fermented in small 5,000-litre stainless steel tanks where the close contact of skins and must frees aroma and colour. 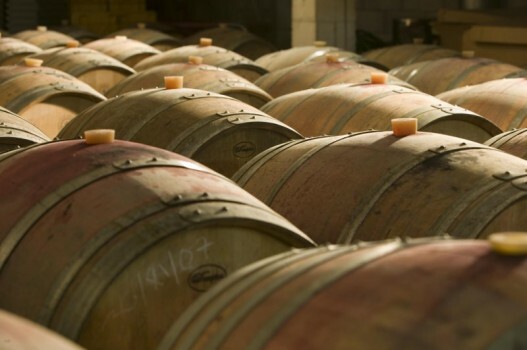 The wine is then aged in 300-litre French and American oak barrels. 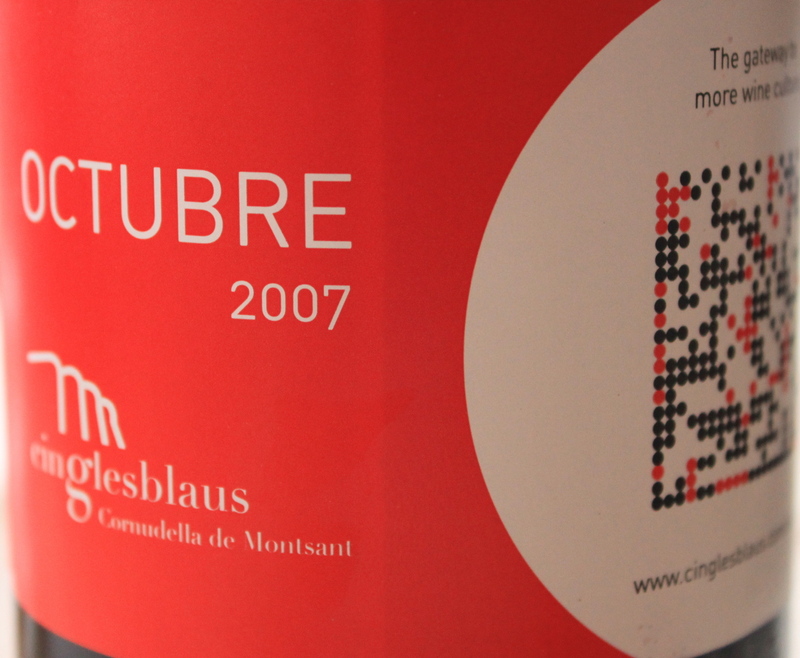 In the Montsant region, landscape and wine have gone hand in hand for centuries. 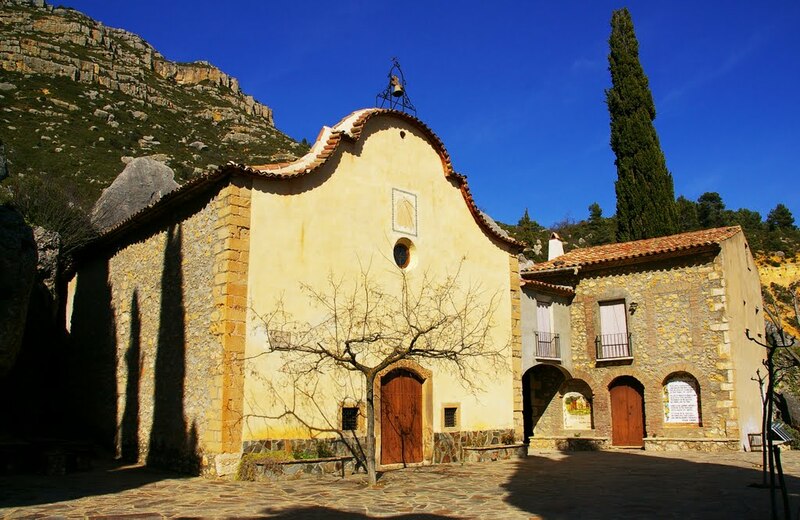 From the twelfth century onwards, the Montsant massif was a refuge for hermits who cultivated spirituality. 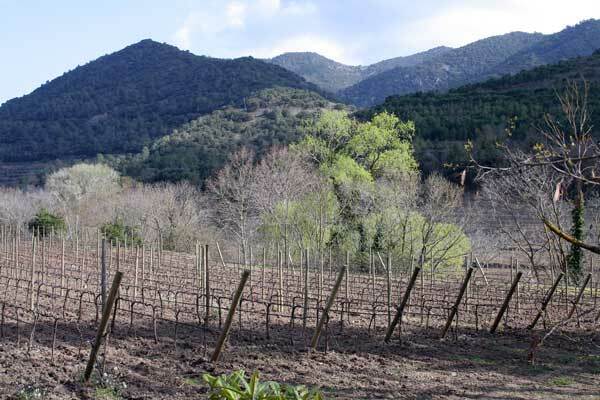 Human activity and respect for the environment have always coexisted here and the Montsant wines faithfully reflect the authenticity of their natural setting. The cheeky goldfinch grabs a seed and flies off with it in the direction of the oak forest. 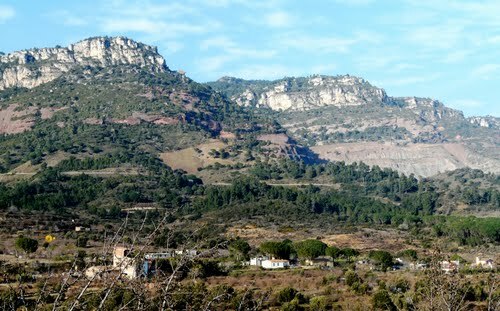 The impassive rocky massif of Montsant witnesses the scene.This is a land of white stone, thyme and thistles baked by the sun; it is a region of small terraced vineyards cut into the hillsides.The Grenache vines grown here express the vitality and coolness of this steep and beautiful area. This lively wine full of flavour is a perfect balance of ripe fruit, a hint of minerals and well-integrated toasted notes. Montsant for me, constitutes the very best that, not only Catalonia can offer, in terms of wine, but also I believe it is one of the best wine growing areas in the world! 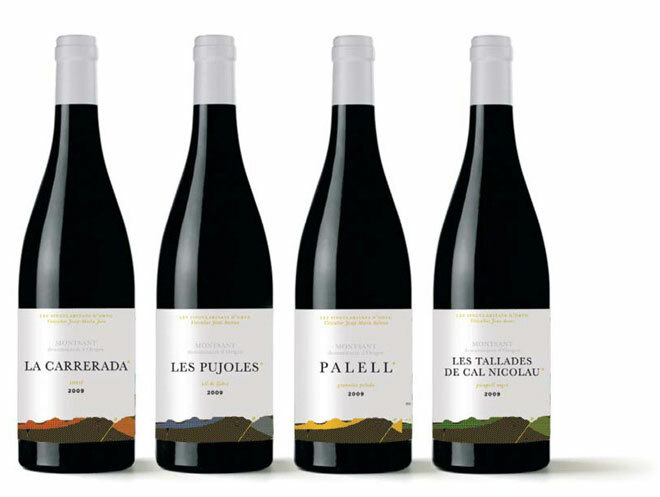 Vinos del Paseante is a collection of wines from a choice range of Spanish appellations, each one selected with the aim of revealing the unexpected, seducing and delighting the palate with its distinctive authentic character and precise. 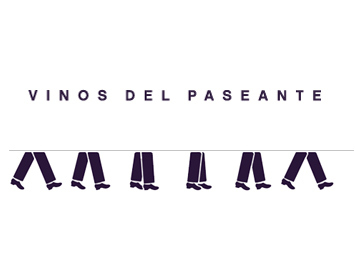 Created with all true wine lovers in mind, present and future, Vinos del Paseante is a proposal marked by quality, identity and typicality, in other words, the expression of the specific character of each area. The rambler has reached Montsant and gives us El Pispa, I hope his wine walking days are not over yet! 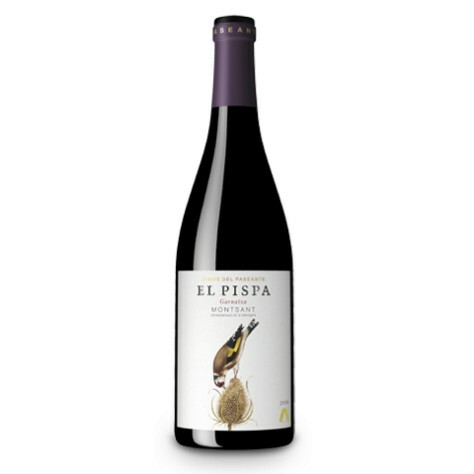 The selection is based on the ideal figure of El Paseante, the rambler, an ever curious and vital figure who travels the world of winemaking to find new emotions and new wines. The fruits of this search are for people like him, with a thirst for knowledge, conscious of the importance of place and of history, and inclined by nature to value pleasure and understanding. 100………, ONLY 100 to go!!!!! !